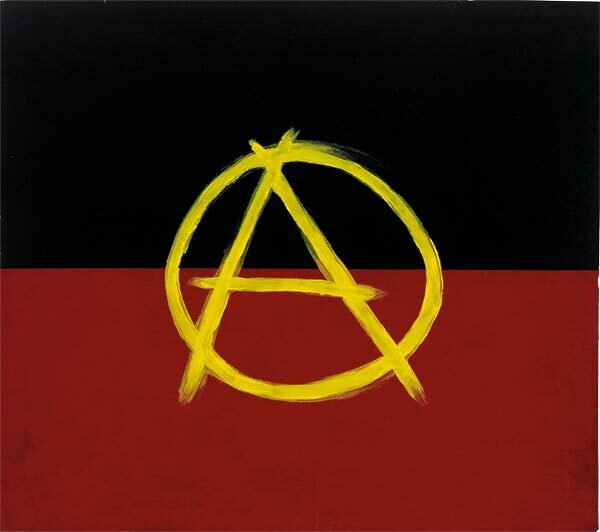 'Aboriginal Anarchy' by Archie Moore, 2012, National Gallery of Australia, Canberra, purchased 2013. ‘Defying Empire’ – the third national Indigenous art triennial. Works from 30 contemporary Aboriginal and Torres Strait Islander artists. Of identity, racism, displacement, country, nuclear testing, sovereignty and the stolen generations through many paintings on canvas and bark, weaving and sculpture, new media, prints, photography, metalwork and glasswork. – Tina Baum, NGA Curator of Aboriginal and Torres Strait Islander Art.